Note that this is on the ports side of the engine. GSL-SE rotor housings, Atkins 2mm apex seals (non-cryo, bought low mile takeout used on eBay! ), max RPM 9000-10,000 over most of the engine's life. 45k-ish on the odometer since engine was dropped in but some times the speedometer wasn't working so who knows? Engine had middling compression (something like 70 front/50 rear on a Mazda tester) but started sucking coolant when cold so I pulled it apart. Good little engine, this was. Oh, forgot - generally premixed in the 100:1 to 60:1 range. 60:1 in competition, 100:1 on the street. rotor and the oily bits look really clean. that rotor housing does look odd, but we'll see if its flat? I would think it's a flatness thing as well. But I'm looking forward to seeing the results! Okay, now i'm going to show you the spark plugs sides. Front on left, rear on right. Sorry again for the huge. 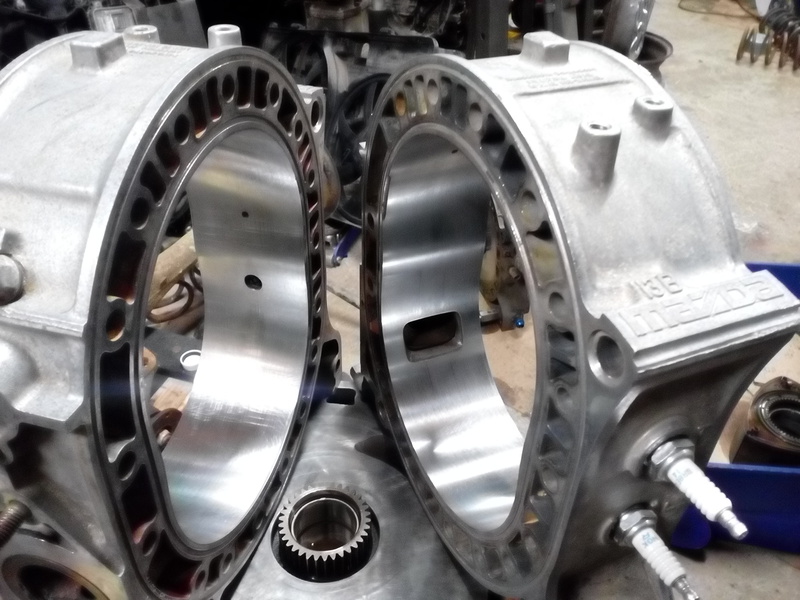 What is interesting is that the rear rotor housing has been running so hot for so long that the internal aluminum structure is clearly visible in the wear pattern. Yes, both rotor housings are also exhibiting some cracking around the plug holes too. Not terrible, but not great either. 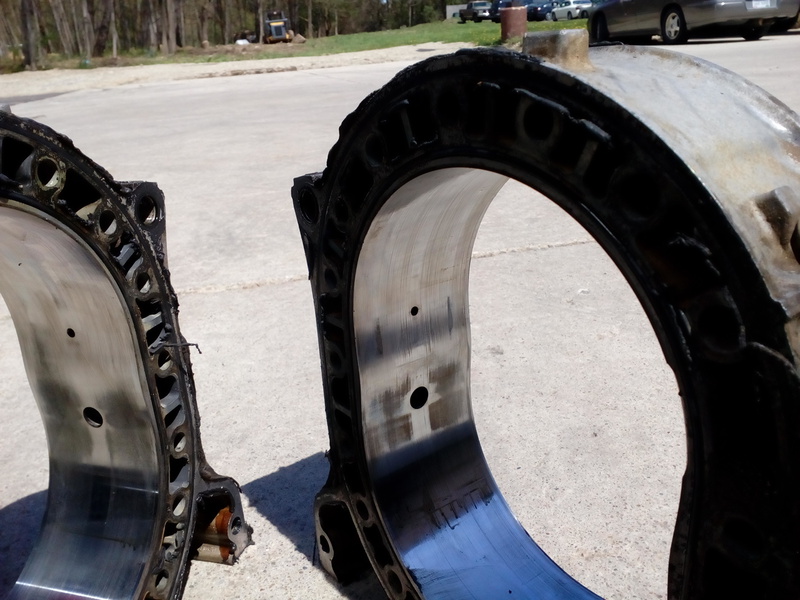 It also looks like the rear rotor has been whapping the rotor housing a little bit too. Need to add some more clearance. 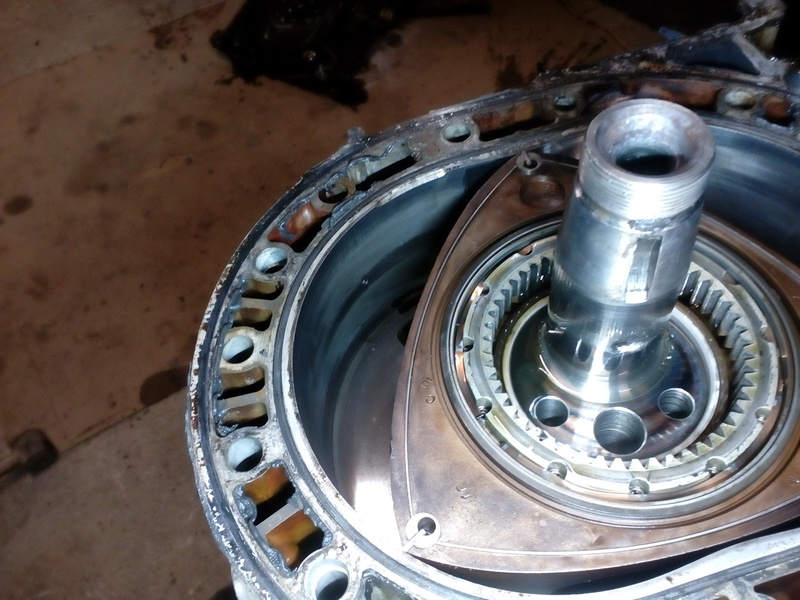 It might also have been a bearing problem. That chunk blew out when blow-drying the parts. Might have been getting the oil hot. I channeled my inner Slav power and resurfaced them by hand. Wow, those cleaned up real nice! What do you use to clean them? This thing is bridgeported right? Maybe the little triangle-part of the apex seal wasn't supported enough and started digging into the housing? The wear was because of severe warpage around the spark plugs, which made the apex seals wear kind of W shaped (M shaped? 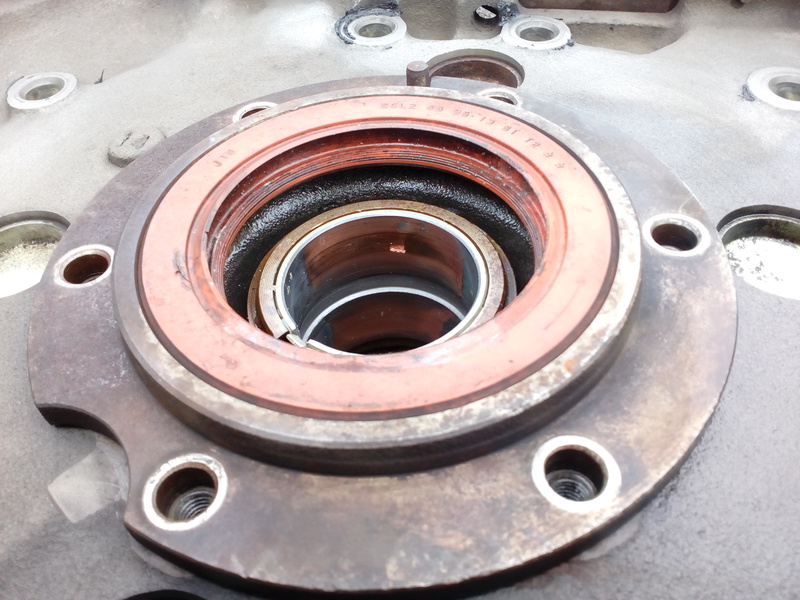 ), which translated to uneven wear around the rest of the rotor housing. The apex seals had 1mm of vertical wear as well as about 1mm of spring edge dig-in on the backsides. So, between better springing, taller seals, and flatter rotor housing chrome, compression should go up a lot. How did you resurface your housings like that?